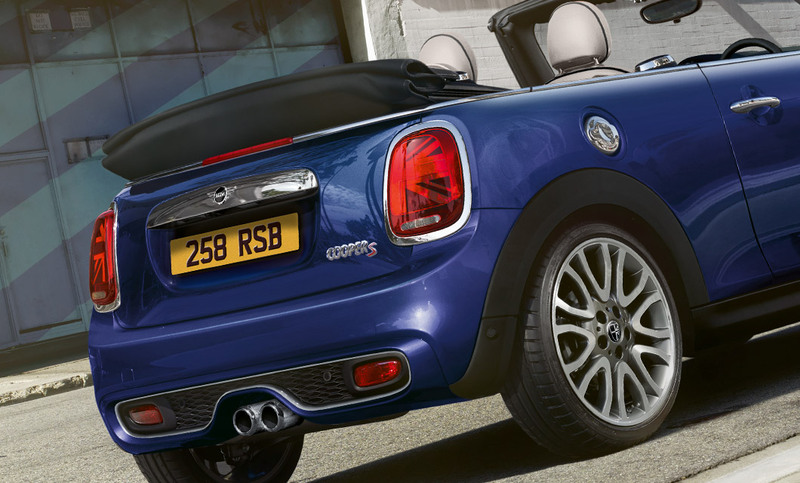 Discover a real breath of fresh air in the MINI Convertible. As well as top-down go-kart handling, the car has cutting-edge technology – including the parking camera and rain warner app. Plus, you’ll uncover true-to-you personalisation options. From the moment you head out, you’ll experience the rush of go-kart feeling, delivered by the TwinPower Turbo engine. And by the time you return, you’ll know there’s no looking back – thanks to the built-in parking camera included as standard. When it’s nice out, why wait to take it all in? Quick and quiet, the new electrical hood mechanism means you can get a full view in less than just 18 seconds. 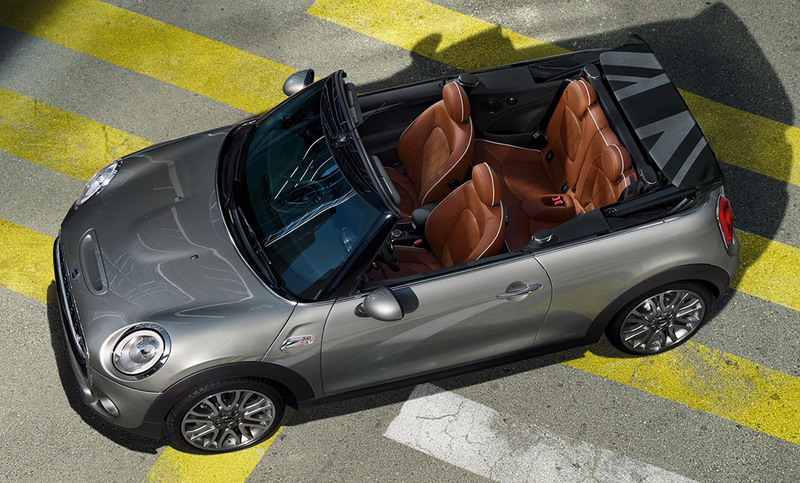 A 3-in-1 convertible roof, it can be up, down or used as sunroof, opening a gap of around 40 cm to let in the breeze. Innovative technology allows you to stay connected. The optional MINI Connected pack ensures you can link up to social feeds, online music, in-car-apps and much more. Delight in the MINI connected XL journey mate – a trip planner, travel guide and calendar rolled into one. Whether driving in the front seat or relaxing in the back, the MINI Convertible offers both style and comfort for everyone. Drivers will experience maximum support from the structured, luxurious seats, whilst passengers will enjoy being driven in style with incredible comfort levels. Colours on offer include Pepper White, Volcanic Orange or a variety of metallic colours. Choose from a range including blazing red, white silver or thunder grey. 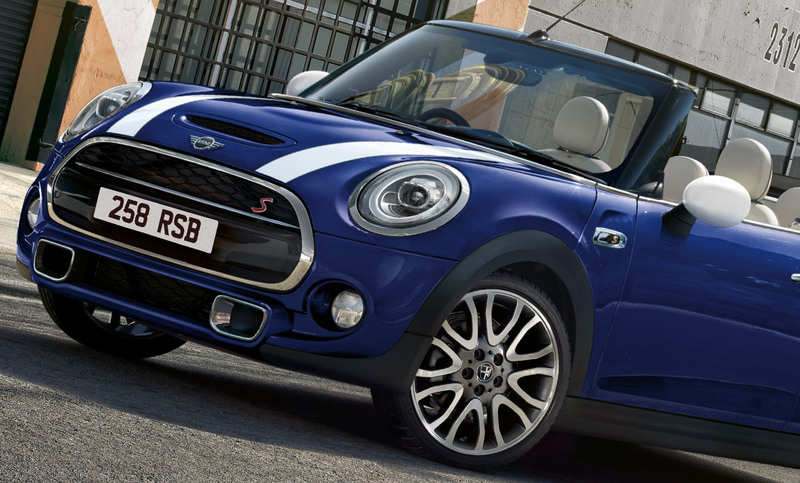 Choose from the clever MINI Cooper - which includes rain sensing technology - through to the highly manoeuvrable MINI Cooper D or the thrilling MINI Cooper S - all available at Rybrook.